Standing out from the oil on silk portraits and landscapes on canvas at artist Nguyen Anh Tuan's studio in Ho Chi Minh City are colorful mosaics that look like large jigsaw puzzles assembled from pottery chips. These fascinating works were created by Mr. Tuan, who has a passion for traditional ceramics. He was born in Dong Nai Province near HCMC in 1965. 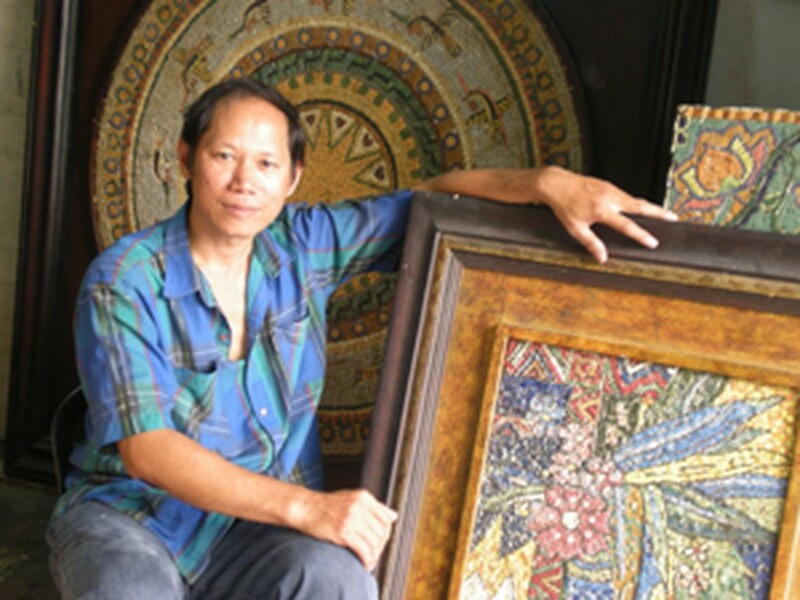 After graduating from the Dong Nai Decoration and Fine Arts School in graphic design techniques for commercial and industrial products in 1991, he went to HCMC to open a small studio to work on portrait painting, a genre for which he seemed to have a special aptitude since an early age. Mr. Tuan made his first ceramic mosaic in 2001. He recalls: "When I was in fine arts school, I usually came to the Ceramics Department to look at students making clay products. I was attracted to the distinct colors of Vietnamese traditional ceramics." Regretting the wastage of defective products that often come out of the kiln, he says, his sole preoccupation at the time was to create something that could make use of these rejects which were being dumped into the river. In 1999 he was invited to display his paintings during a festival in Hue. Mr. Tuan spent most of his spare time visiting the tombs of Nguyen Dynasty (1802-1945) kings. At Khai Dinh's tomb, he was dazzled by the ornate decorations inlaid with ceramic chips on cement walls and pillars and an idea immediately flashed across his mind: "Why not try making pictures using chips from ceramics rejects?" After getting back to HCMC, he began to frequent ceramic factories to collect materials. Although his first mosaic was a small picture of a flower, it took him nearly two years to gather enough ceramic chips for it. It was not easy to find chips of the right colors since each batch coming out of the kiln would supply only certain kinds of ceramics in certain colors. It took him ages to find certain colors for a particular design. Since the ceramic chips are heavy, the bases onto which they are attached have be strong enough. Mr. Tuan built a reinforced concrete slab for the base of his first mosaic, sketched out the design on the surface, and used a special gum to cement the chips on the sketch. Mr. Tuan's first work made its public début in 2001, and, though not perfect, was hailed for its uniqueness. Inspired by this initial success, he began to work on more detailed sketches to create larger mosaics. To reduce the weight of his mosaics, he experimented with lighter materials for the base like plywood, mica, and composite gypsum boards. The gypsum boards turned out to be the most suitable since they are not only heatproof and water-resistant, but also have a high load-bearing capacity. Mr. Tuan thinks his art works, despite their weight, are ideal for decorating both indoor and outdoor spaces. 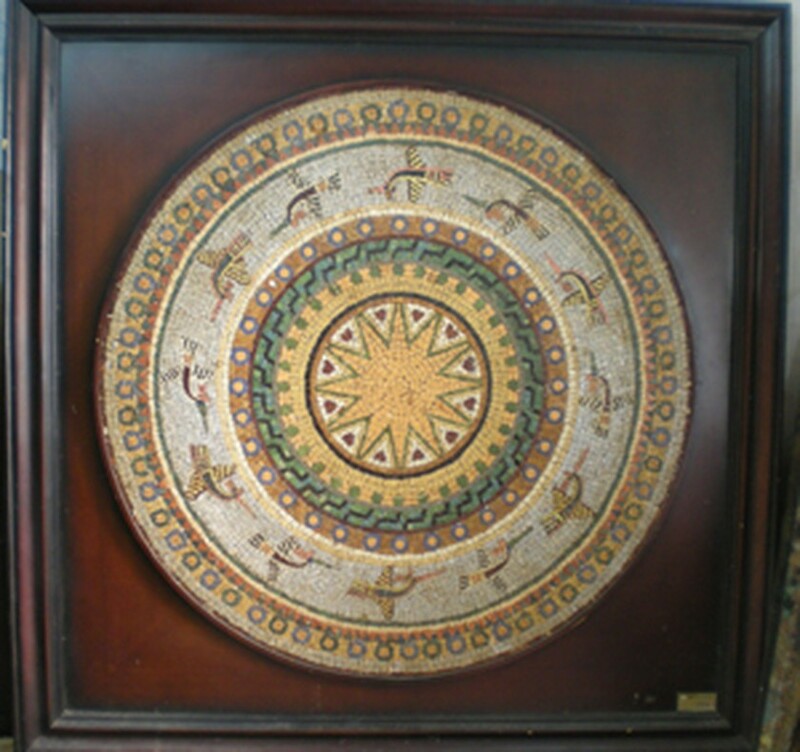 His mosaics have been used by many interior decorators, hotels, bars, and the luxury Romana and Seahorse resorts in Phan Thiet, and have also been exported. "My studio is located on a street where many foreigners pass by every day. They often drop in for a look at my works. Though most of them adore the larger mosaics, they only buy the smaller ones, explaining that they cannot carry such large and heavy works home." Visitors of all ages visit his studio. Not only adults but also children are interested in this form of art, he says. 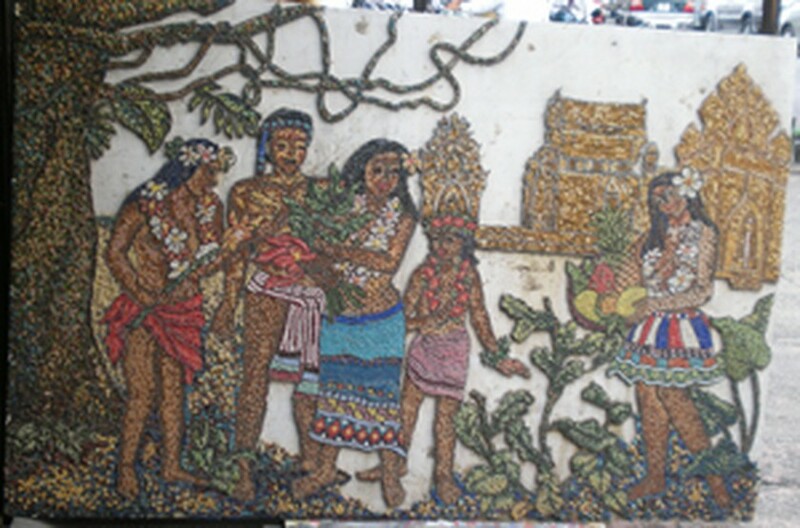 Many children buy small mosaics to hang on the walls of their rooms. Pottery mosaics are still unknown to many Vietnamese, he says. As a pioneer of this form of art, Mr. Tuan hopes that in the not-distant future people will become acquainted with it so that they can also recognize the aesthetic value of the country's traditional ceramics.